After being appointed to the project in November this year, John Wardle Architects have revealed their designs for the $47.8 million “GovHub” precinct in Ballarat. 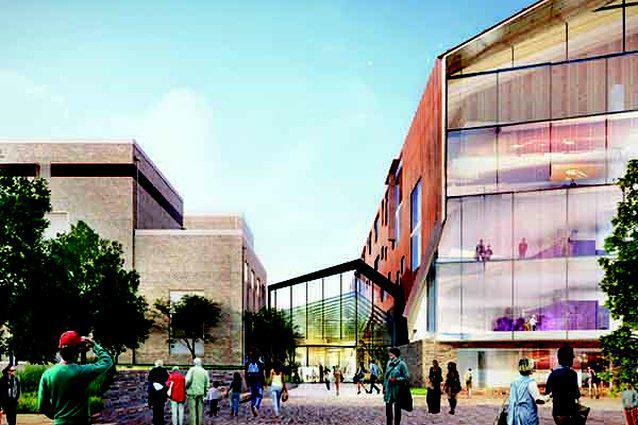 The proposed GovHub project involves creating a new Victorian government precinct which will provide modern office facilities in Ballarat for up to 1000 government employees, including 600 new positions to the city, with a long-term strategy during construction to generate jobs growth, increase business confidence and further private sector investment in the CBD. Led by Development Victoria in partnership with Regional Development Victoria, the Department of Premier and Cabinet and Ballarat City Council, the project was put to the public for consultation in November 2017, which heavily influenced how John Wardle approached the GovHub’s design. With the help of ASPECT Studios as landscape architects and interior design practice Geyer, John Wardle set about creating a space which would not only be for GovHub workers, but a place where the public could visit. This was accomplished by their design incorporating a new civic plaza on Mair Street and a central plaza that will connect the GovHub, Civic Hall and the library. The design includes active street frontages on Mair Street and Armstrong Street with a north-south connection from Mair Street through to the central landscaped plaza. 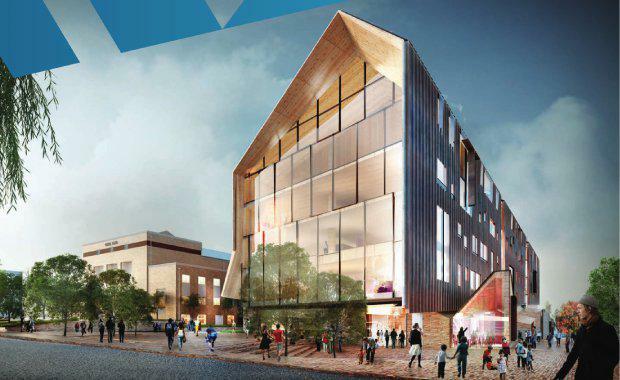 the ground floor of the GovHub building will have shared spaces including a new glassed conservatory between it and the Civic Hall that will create a “welcoming microclimate and a strong public link between Civic Hall and the new office building”. It will also have a reconstructed lower hall space equivalent to the existing lower hall. Focus groups suggested these spaces could be used for a café, gallery space, live music, meeting spaces and co-working spaces. The ground floor podium of the GovHub will carry the bricks and masonry theme of the surrounding precinct through its design. A reconstructed lower hall space equivalent to the existing lower hall in volume also reflects the history of the site. With the unveiling of the plans, the team behind GovHub will now seek further public feedback before submitting a planning application before the end of the year. If things go their way, construction will begin in late 2018 with a projected completion in 2020.